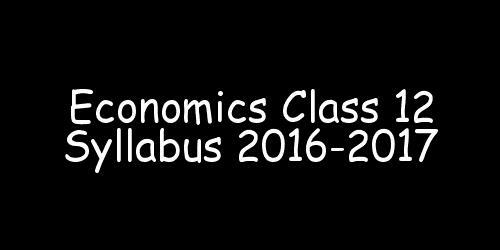 What is the difference between microeconomics and macroeconomics? It is a branch of economics that studies the economic variables at an individual level like the households, the firms, the consumers etc. It is a branch of economics that studies the economic variables of an economy as a whole. It deals with how consumers or the producers make decisions depending on their given budget and other variables. It deals with how different economic sectors like households, industries and other government and foreign sectors make their decisions. The method of partial equilibrium (i.e. equilibrium in one market) is used. The method of general equilibrium (i.e. equilibrium in all the markets, simultaneously) is used. The major variables involved are price, consumer's demand, wages, rent, profit, firm's revenue, cost, etc. The major variables involved are aggregate demand, aggregate supply, inflation, unemployment, poverty, etc. What are the important features of a capitalist economy? Capitalist economy is an economic system where the means of production are privately owned. These means of production are driven by the motive of profit making. This economic structure is also known as free market economy or laissez faire. The government provides the basic framework for the smooth functioning of an economy. It provides the basic framework and is responsible for maintenance of law and order, justice, growth and stability, defence, etc. The economic agents are driven by the prime motive of profit maximization. The central problems of an economy are solved by the market forces of demand and supply, i.e., the law of demand and supply operates here. The producers will supply only those goods and services that are demanded by the economy. The role of private individuals is more dominant. The main role of undertaking production and organising factors of production are played by the private individuals and capitalists. This economy is also called `laissez faire'. It has minimum interference or restriction from the government. Describe the four major sectors in an economy according to the macroeconomic point of view. Describe the Great Depression of 1929. Introductory Macroeconomics - Economics : CBSE NCERT Exercise Solutions for Class 12th for Introduction will be available online in PDF book form soon. The solutions are absolutely Free. Soon you will be able to download the solutions.